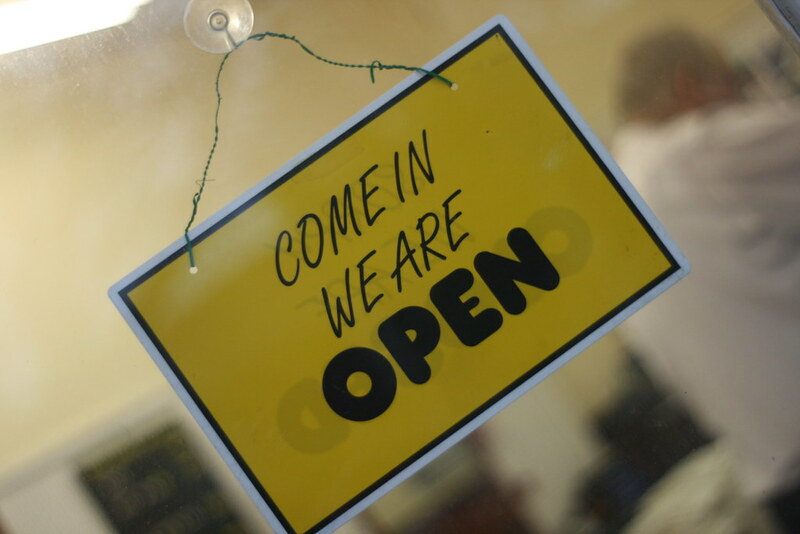 What does ‘open’ mean in an educational context? ¶ 1 Leave a comment on paragraph 1 0 Before presenting some concepts related to Open Education and discussing the benefits of working openly within universities, we need to ask ourselves what do we mean when we say that an educational practice or an educational resource is ‘open’. This depends on the personal understanding of ‘open’, but may also reflect the context in which we are working on. To start thinking about openness, let’s introduce some of the key characteristics usually associated with this concept: access, transparency, free, sharing. ¶ 3 Leave a comment on paragraph 3 1 Openness is often associated with an increased access to resources. In particular, it is associated with open access (this concept will be presented in Module 2) and the drive to ‘open up’ academia by publishing research outputs and learning resources through open licences. Opening up access to research and teaching resources is made possible by the Internet and means that potential users such as researchers and learners do not need to pay to view or to use a specific resource. ¶ 5 Leave a comment on paragraph 5 0 Openness is often associated with increased transparency, for example in relation to one’s own practices or data. This is particularly the case when an academic shares data, research and materials with others and by doing so enables public scrutiny of processes, outputs and assertions. For example, making research datasets openly available (Open Data will be discussed in Module 2) allows other people to check for possible errors, and carry out further analyses towards ultimately developing and improving research results. ¶ 7 Leave a comment on paragraph 7 1 The term ‘free’ it is often used in relation to Open Educational Resources (OER). But what does ‘free’ mean within the context of ‘open’? As noted above, increasing access to resources often involves removing the need to pay for a resource at the point of use. This type of ‘free’ has been described as ‘gratis’, as the user is not charged a fee to access or use the resource. In this case, the costs associated with resource creation and/or its maintenance is absorbed elsewhere, for example by the creator or funder. Another meaning of ‘free’ within the context of openness is ‘libre’. If a resource is ‘libre’ it means it doesn’t have limitations on the way in which it can be used. Within the context of openness this refers to the potential of openly licensed materials to be reused. However, different licences afford different levels of reuse, some of which are not considered to be ‘free’ in the ‘libre’ sense (open licensing is discussed in more detail in Module 2). ¶ 9 Leave a comment on paragraph 9 0 In all the above mentioned cases, increasing access to resources happens through sharing, particularly when a material is shared digitally, often means that resources can go beyond the original contexts and boundaries intended by their creator. Sharing stands at the very foundation of open education, since an Open Educational Resource that is not properly shared, it could remain unknown and therefore its usage would be minimal. In Module 5 we will see how Open Educational Practices depend on the sharing attitudes of teachers and students: the more willing we are to share, the more the learning process will become open. ¶ 12 Leave a comment on paragraph 12 0 Open education is an “umbrella term” under which different understandings of “open” can be accommodated. More and more, experts and practitioners are adopting an understanding where opening up education does not refer exclusively to Open Educational Resources or to the availability of open access research in repositories. ¶ 14 Leave a comment on paragraph 14 0 Open Education encompasses resources, tools and practices that employ a framework of open sharing to improve educational access and effectiveness. ¶ 15 Leave a comment on paragraph 15 0 By combining the traditions of knowledge sharing and creation with 21st century technology, Open Education wants to create a vast pool of openly shared educational resources, while harnessing today’s collaborative spirit to develop educational approaches that are more responsive to learner’s needs. Open Education seeks to scale up educational opportunities by taking advantage of the power of the internet, allowing rapid and essentially free dissemination, and enabling people around the world to access knowledge, connect and collaborate. Open allows not just access, but the freedom to modify and use materials, information and networks so education can be personalized to individual users or woven together in new ways for diverse audiences, large and small. ¶ 16 Leave a comment on paragraph 16 0 The expression “Open Education” it is subject to multiple interpretations and its meanings have significantly changed over time. In the second half of the 20th Century, the concept was associated with the idea of using mass media channels such as the telephone or the TV in order to enhance distance education, as exemplified by the UK’s Open University (established in 1969) and other universities around the world based on similar principles and pedagogical approaches, such as Athabasca University (Canada), the National University of Distance Education (Spain) or Indira Gandhi National Open University (India). Unlike the traditional institutions bound to physical campuses and rigid timetables, these new universities were designed to open up education to widening up to segments of the population and to address the needs of those traditionally excluded from Higher Education. With the rise of the Internet and online communications, the idea of Open Education soon started to be connected with Information and Communication Technologies (ICT) and e-learning. In order to understand the practices and the phenomena usually associated with Open Education as connected to e-learning, it is important to consider other concepts such as Open Access, Open Data, Open Content or Open Licenses – all of which are based on, or directly inspired by – the ideas of Free Software and Open Source. All these concepts are influenced by the underlying idea that – thanks to the possibilities offered by the internet – knowledge can be reproduced at minimal or sometimes zero costs, but nevertheless, some barriers still exist in terms of, for example, copyright. ¶ 17 Leave a comment on paragraph 17 1 Open Education is not synonymous with online learning or e-learning, although many people use the terms interchangeably. Openly licensed content can in fact be produced in any medium: paper-based text, video, audio or computer-based multimedia. A lot of e-learning courses may harness OER, but this does not mean that OERs are necessarily e-learning. Indeed, many open resources being produced currently – while shareable in a digital format – are also printable. Given the bandwidth and connectivity challenges common in some developing countries, it would be expected that a high percentage of resources of relevance to higher education in such countries are shared as printable resources, rather than being designed for use in e-learning. Likewise, many e-learning courses do not involve the creation, or even use of OER. Indeed, many courses advertised as open (such as certain Massive Open Online Courses – MOOCs) are built around copyrighted content that do not comply with the key criteria of most OER definitions, as learners can only have access to it, but reuse and modifications are not allowed. ¶ 18 Leave a comment on paragraph 18 1 The promise of Open Education is that each and every individual, in any stage of their lives and career development, can have appropriate and meaningful educational opportunities available to them. These include access to content, courses, support, assessment and certification in ways that are flexible and that accommodate diverse needs. Barriers, for example those related to entry and cost, are reduced or eliminated. Today, this vision has not been yet realised, and most of academics still teach in a traditional way using “closed” resources, but progress has being made and especially Open Education approaches are becoming increasingly popular. As Professor Martin Weller puts it, “there is undoubtedly still a lot more that open education needs to do before it affects all aspects of practice, but the current period marks the moment when open education stopped being a peripheral, spe­cialist interest and began to occupy a place in the mainstream of academic practice” (Weller, 2014 p. 9). What is an Open Educator? Implements Open Learning Design, by openly sharing ideas and plans about his/her teaching activities with experts and with the past and potential students, incorporating inputs and transparently leaving a trace of the development process. Embraces Open Educational Content, by releasing his/her teaching resources through open licenses, by facilitating sharing of his/her resources through OER repositories and other means, and by adapting, assembling and using OERs produced by others in her teaching. Adopts Open Pedagogies, fostering co-creation of knowledge by students through online and offline collaboration, allowing learners to contribute to public knowledge resources such as Wikipedia. Implements Open Assessment practices such as peer and collaborative evaluation, open badges and e-portfolios, engaging students as well as external stakeholders in learning assessment. ¶ 22 Leave a comment on paragraph 22 0 Go on the website http://rd.unir.net/pub/oef/login.php, choose a language and register. ¶ 23 Leave a comment on paragraph 23 0 Then take the survey (it will take no more than 10 minutes) and see how you perform with respect to the four dimensions of Open Education: learning design, content, teaching, and assessment. ¶ 24 Leave a comment on paragraph 24 0 Finally, have a look at the targeted recommendations that the system provides to you. You might want to save these recommendations as a PDF to take a look at them later. For some researchers, their first contact with the “open access” publishing system has been journal in which the author has to pay for publishing. I think it is important to treat this in some way, since it can condition their attitudes towards “open access”. The text indicates that “costs are absorbed elsewhere”. As a reader I am very interested to know who pays … Are they always public resources? What is the economy of the “open”? Without needing to be very deep, I believe that somewhere in the course it is important to deal explicitly with this topic. This is the first time that the term “Open Educational Resources” is used: a definition and differentiation with respect to “Open Education” may be interesting. The uninformed reader may not understand what Open Educational Resources refers to. The difference of “open education” with “distance education” and “e-learning” seems to me of the most interesting and pertinent. I think that for the reader it might be useful to have a table in which the three concepts are differentiated and an example is given. It is a way to complement this text. So that “individual and every individual, in any stage of their lives and career development, may have appropriate and meaningful educational opportunities available to them” institutional changes may be necessary, going beyond practices, methodologies and open content.